When Autumn Feldmeier opened the event last night 'Move Into Love', she was brimming with excitement, ‘I’ve been teaching class to DEEPSØNØS for awhile now, and, well, sometimes you aim high and things work out…’ Autumn and HÄANA had never officially met, but you’d never know the two hadn’t been teaching together for years. 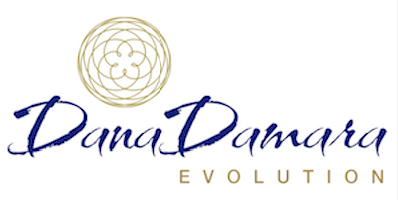 They planned their event at Harmonia - a new wellness center in Sausalito, once a studio where bands like The Rolling Stones, Bob Marley and The Wailers recorded - the perfect venue for a musical meditation and yoga. Autumn began with an hour-long heart-opening Vinyasa series before we sat in meditation. The series was choreographed with free fluid movement and the room danced in time. It was perfect for a Friday night. HÄANA began playing ethereal sounds along with us, and then led the class in a seated meditation as she performed DEEPSØNØS*. Autumn and HÄANA seemed to riff off each other like old practiced jazz musicians. Autumn gracefully moved about the room, while HÄANA played, swaying her body, entranced - it’s as if she was the instrument. Her eyes closed as she felt her way around the table of synths, a violin at her chin bowed with thick strokes, singing notes every so often to layer vocals over deep bass frequencies and other-worldly sounds crafted specifically for our meditation. It is a beautiful thing to watch someone truly in their element. At the end of the night, the room chanted ‘Om’ together, and we were asked to chime in with comments about ‘Move Into Love’. Perhaps it was the spirit of music at Harmonia, but when the first comment came, it turned out to be a request that we all sing ‘Om’ once more. And before we left for the night, the room echoed in sound once more. *To find out more about DEEPSØNØS, read our interview with HÄANA here. Or visit her website for more info and upcoming events here. Autumn Feldmeier teaches regularly at Union Yoga. Find out more about her upcoming events here and read her blog here. May 29 Retreat With Lesley Desaulniers June 5th 2016!